Cosmetic Haul - Cherry Colors - Cosmetics Heaven! 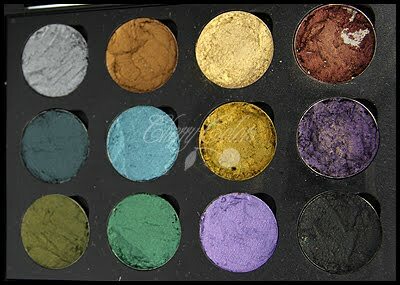 I ordered some stuff from CoastalScents and LookFantastic. The Lookfantastic stuff took 1 week to get to me (BLEH!, because they are from UK), and CS took 1 week also (WOHOOW, from the USA!). It's the Joico K-pak set.. 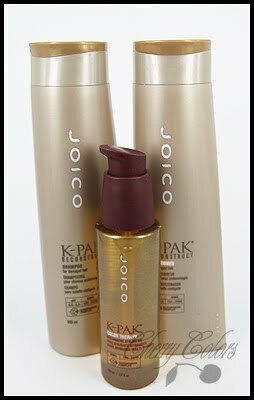 It includes the K-pak reconstruct Shampoo & Balsam, and the Joico K-Pak Color serum. I must say that I have no idea what's in this shampoo and balsam but I love it.. The scent is so-so, but it makes my hair SO soft! The color corrector set. This is a nice deal, for all of them less than 17$. 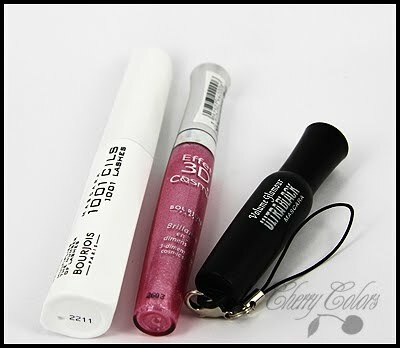 I also tried them and they work great with foundations (because they are made for it lol). Ez Prez and a 12 palette. They look so dirty, because well.. they are. I was pressing some mineral pigments today.. It was messy! I also went to Müller because I remembered this little action.. A mascara, lip gloss, lip pencil, small mascara and foundation sample for less than 10€ (the mascara costs 14€ alone, gloss 10€ etc). Small set of drawing paints.. for clothes, if I'm not mistaken. Pretty! Well this is it for today, I'm drop dead tired..